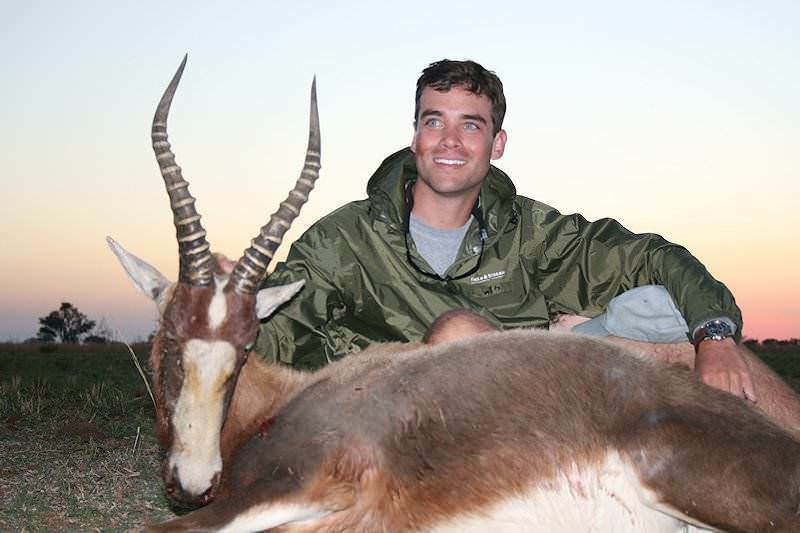 Blesbok are amongst the most popular plains game that can be hunted in South Africa. 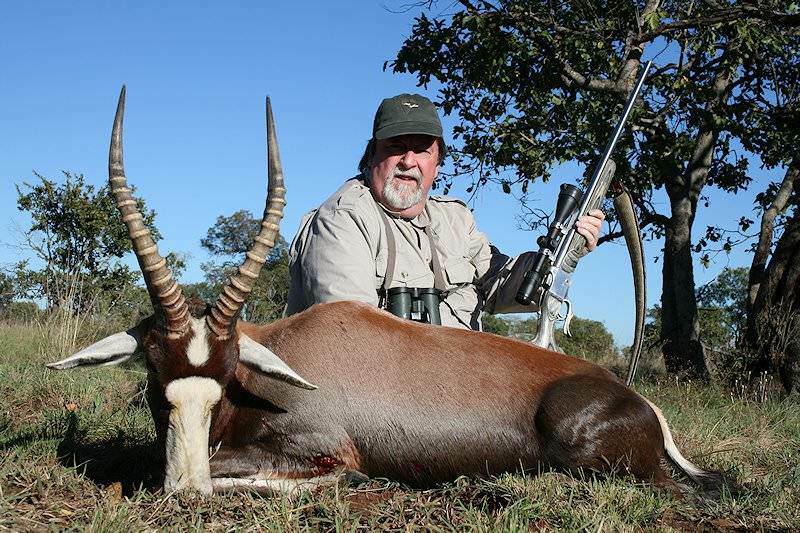 The blesbok lives on the open plains of the South African highveld. 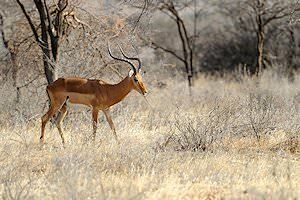 Primarily grazers, they form herds consisting of females (ewes) and juveniles, while the males (rams) tend to be solitary. 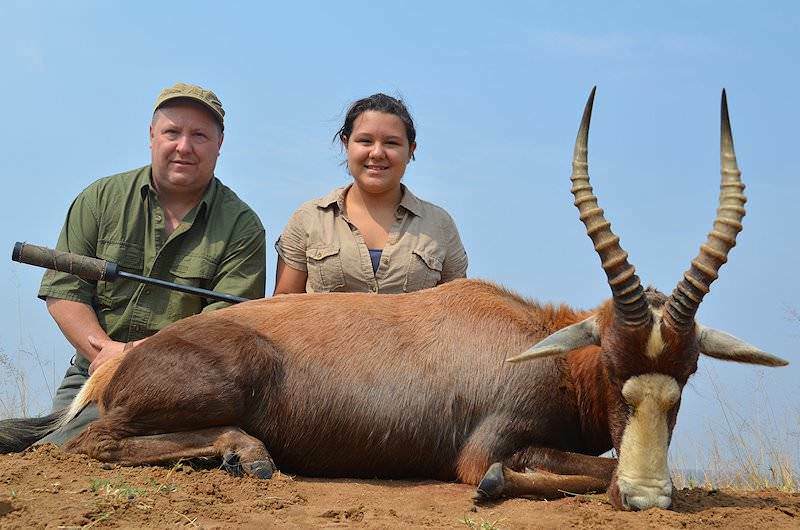 The neck and top of the back is brown, darker on the flanks with a white belly. 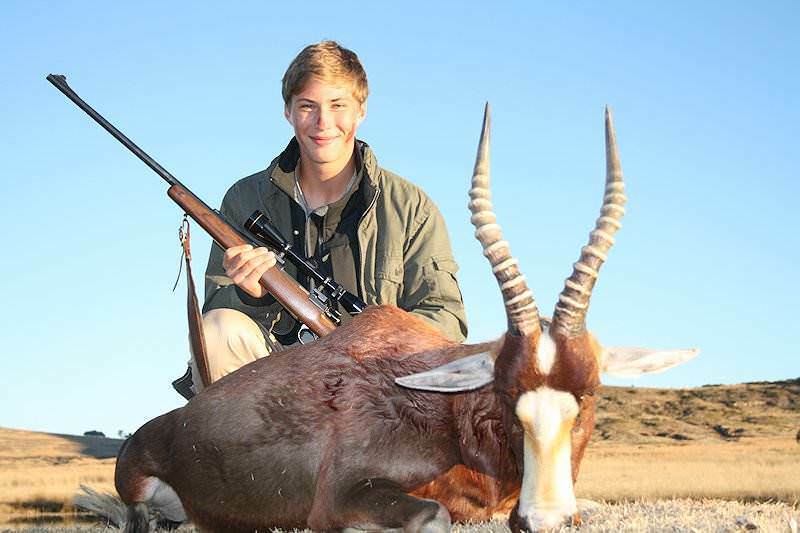 A small white blaze on the forehead and a larger blaze below is usually divided between the eyes. 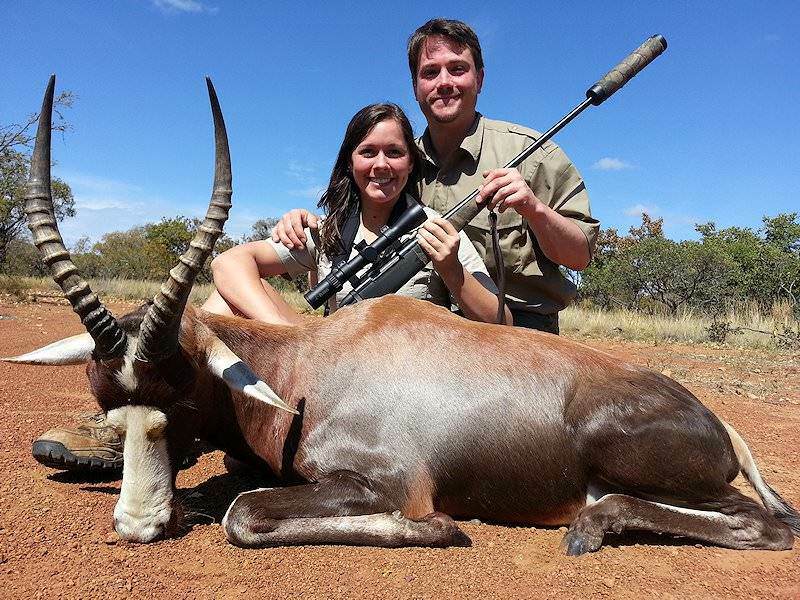 With both sexes carrying horns, care must be taken when hunting blesbok to ensure that you take the animal of choice. 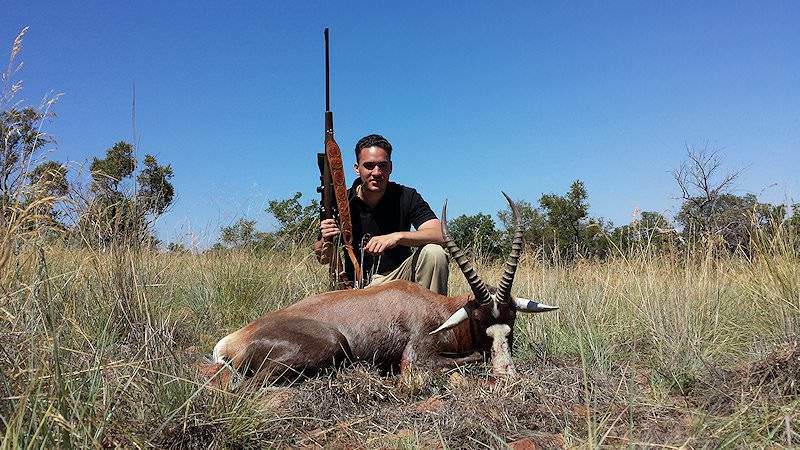 The best time for hunting blesbok is while they are grazing in the morning or late afternoon. 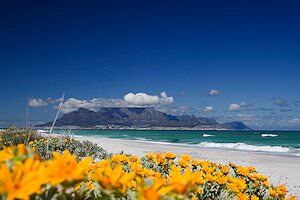 Like many other species, they tend to lay-up during the hottest part of the afternoon. 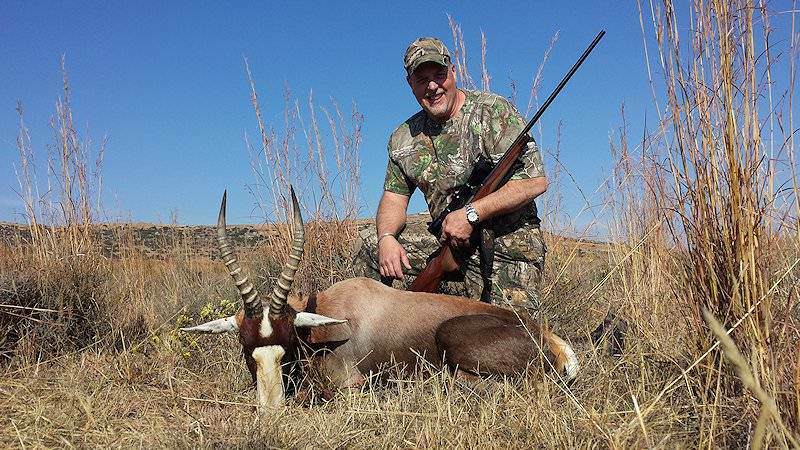 Hunting blesbok on the plains of the Free State can be challenging, as your shots may need to be quite long. 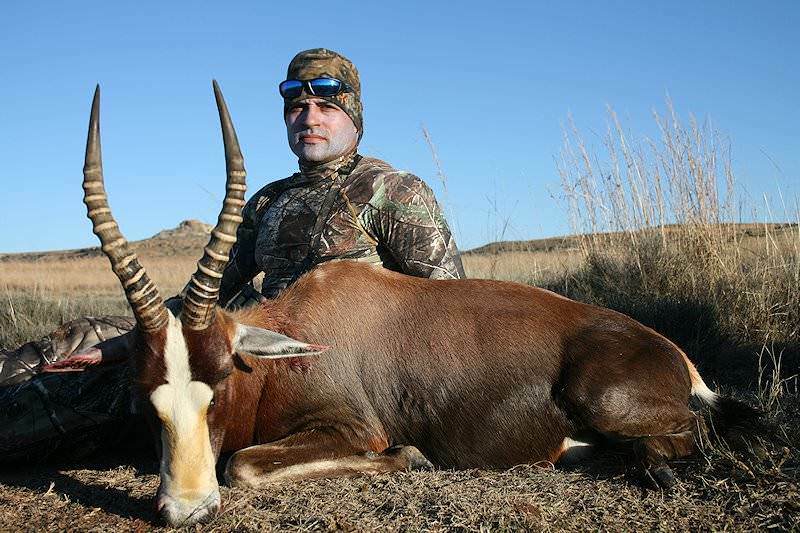 The blesbok shares a common behavioral characteristic with his cousin the bontebok - that of standing together with heads facing toward the sun and faces low to the ground. He sometimes shakes his head violently, stamps and runs in a complete circle only to resume his original place. 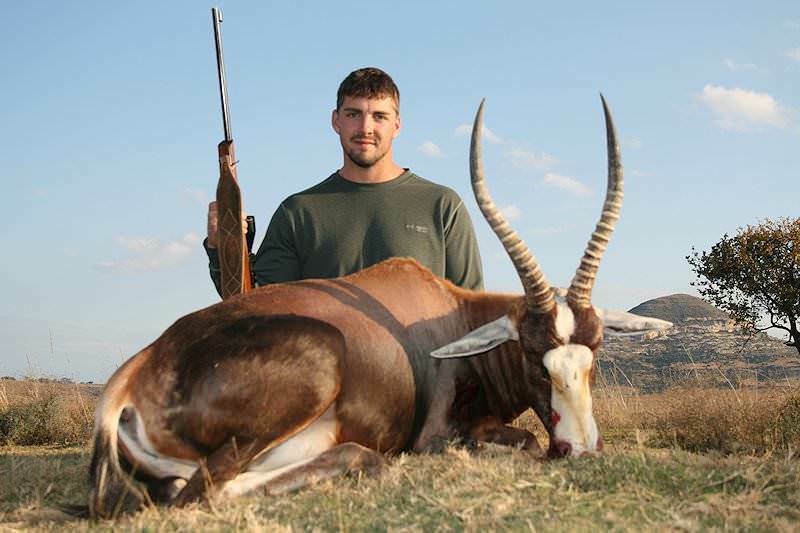 As available water is essential to this specie, hunting blesbok near the approaches to water holes can prove productive. 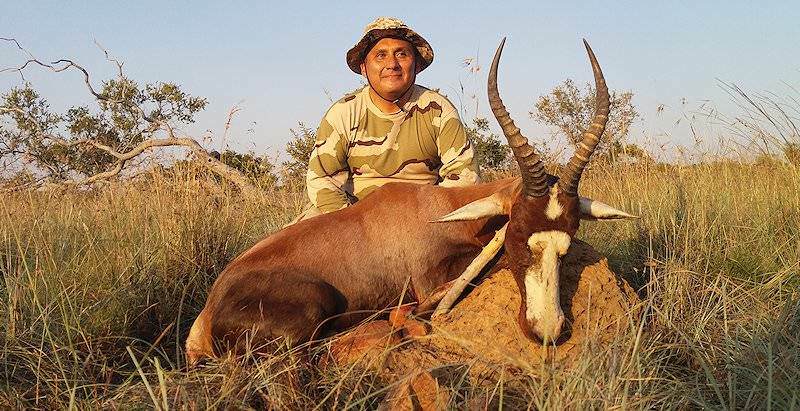 This once near-extinct antelope has been reintroduced on the game farms of southern Africa and boasts a population somewhere in the hundreds of thousands. 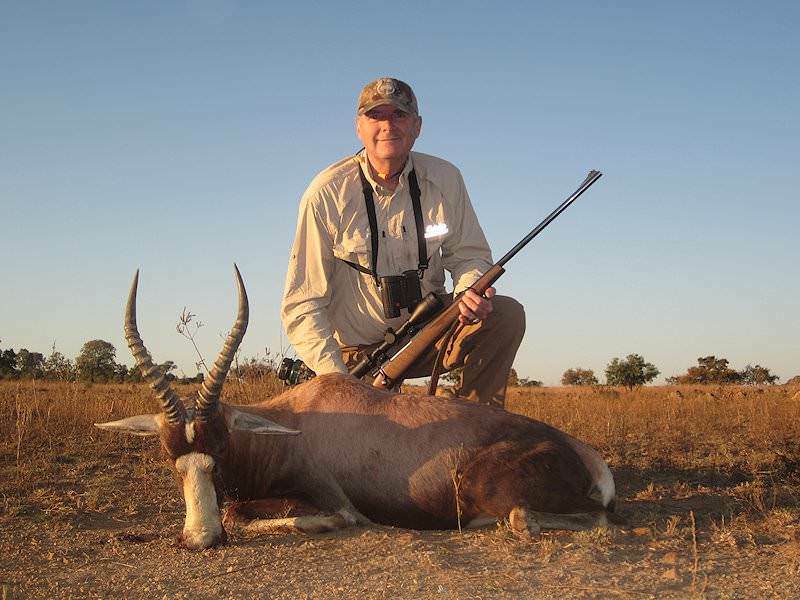 American hunters can rely on their favorite whitetail deer rifle when hunting blesbok. 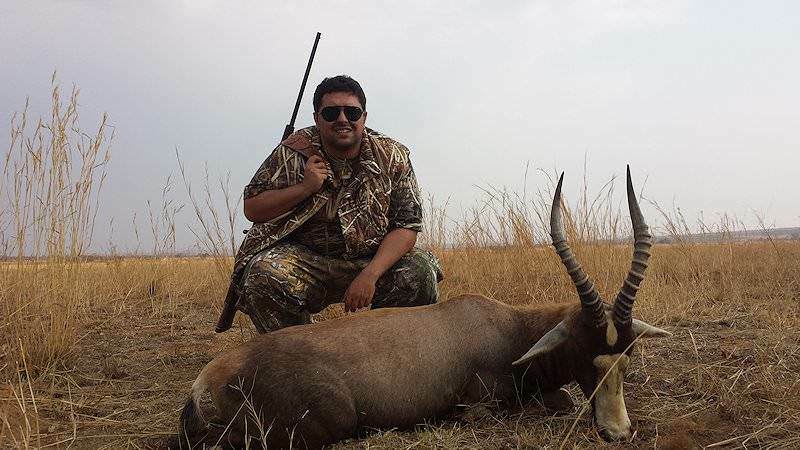 Calibers like the .270 or .300 magnums with bullets of 130 to 150 grains give excellent results for longer shots out on the plains. 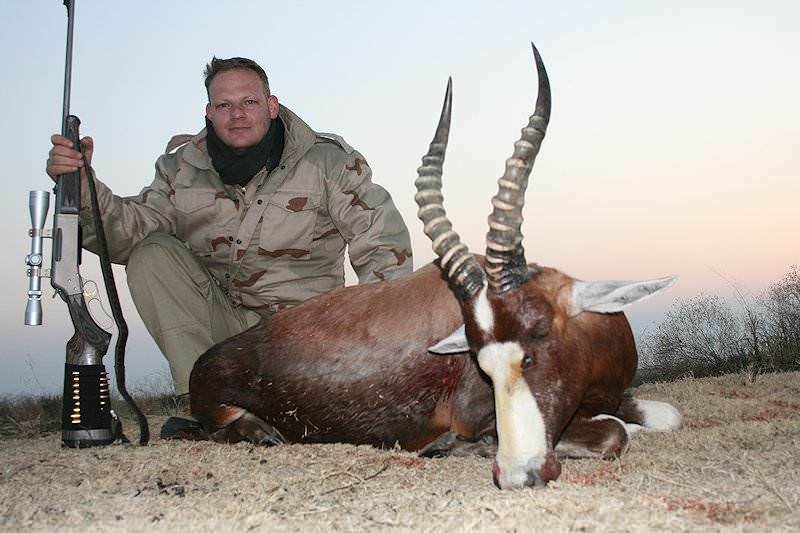 While hunting blesbok in the bush, you may want to select a heavy-for-caliber round nose bullet. 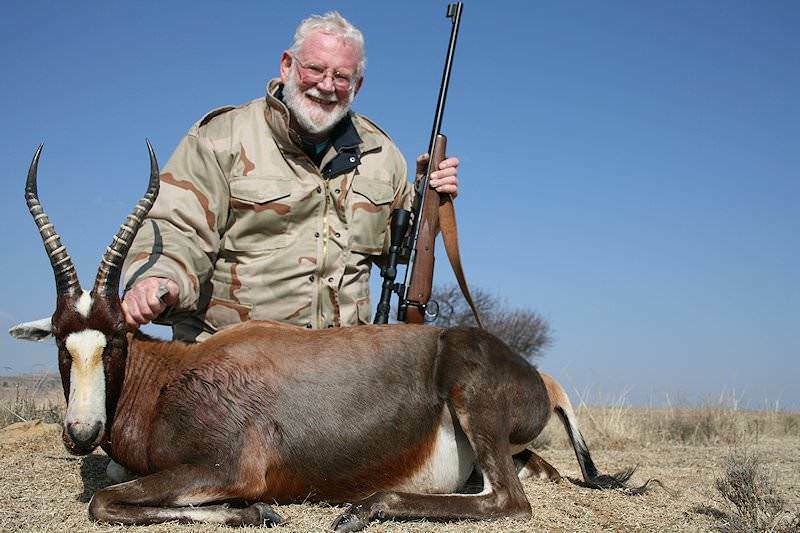 As always, the aim point is critical; place your shot by following the rear line of the fore-leg about one third up into the body which will strike the top of the heart and the lungs. 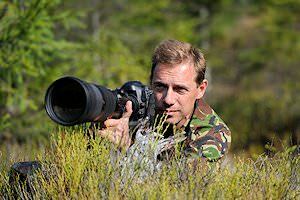 If he does not go down, he will not go far. 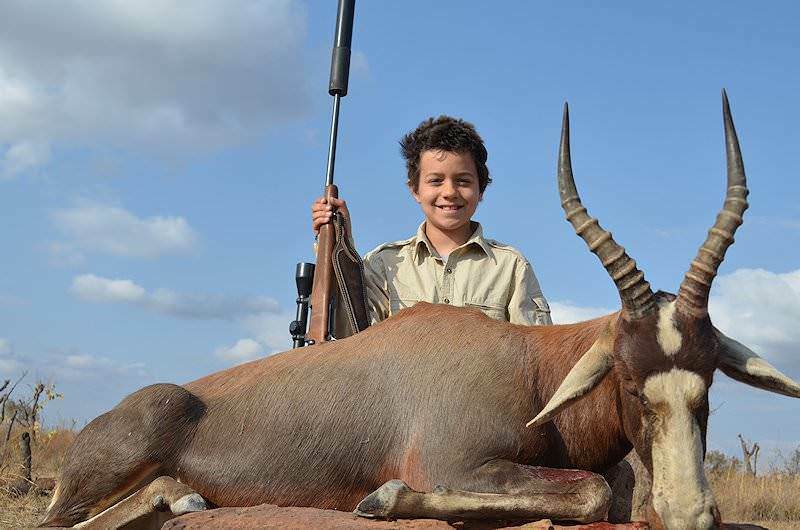 This wildly popular beginner's package is ideal for hunters with little or no experience hunting in Africa or avid hunters looking for a short but rewarding adventure. 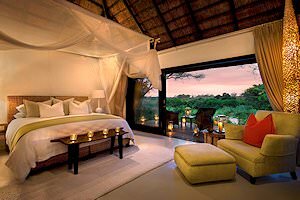 The package includes a blesbok, impala and blue wildebeest. 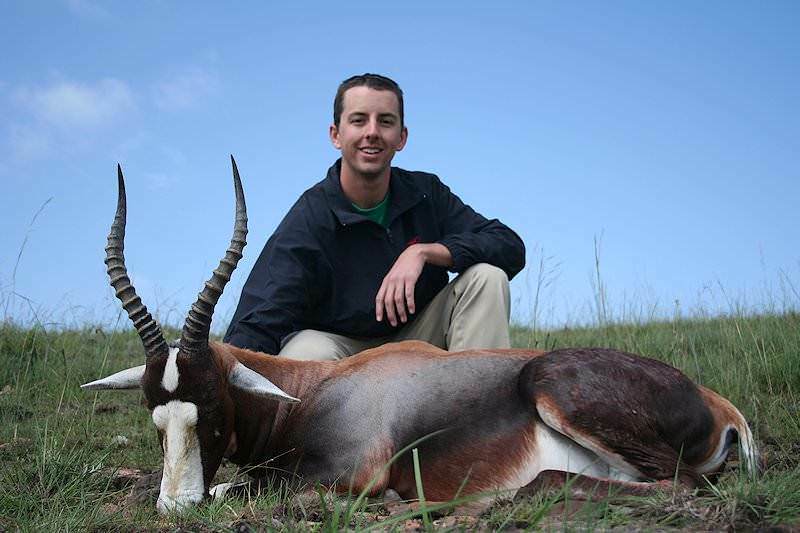 Two weeks, two hunting areas and seven incredible plains game trophies. 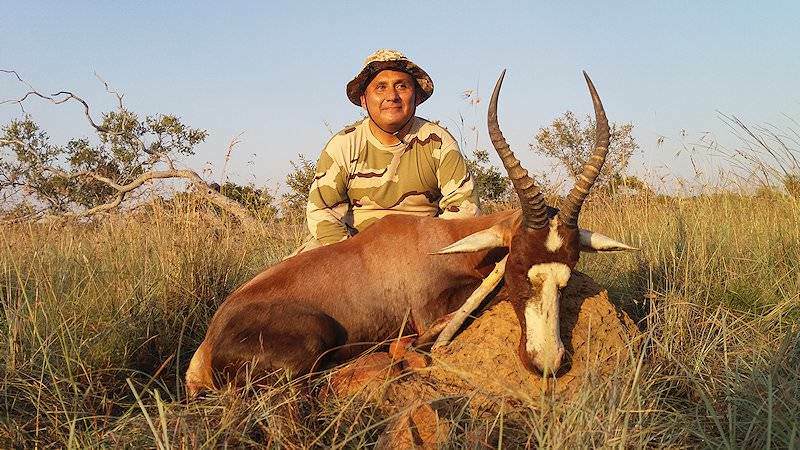 This hunting package combines South Africa's two most popular hunting areas as a backdrop to pursue the likes of kudu, impala, blesbok, black wildebeest, blue wildebeest, zebra and springbok. 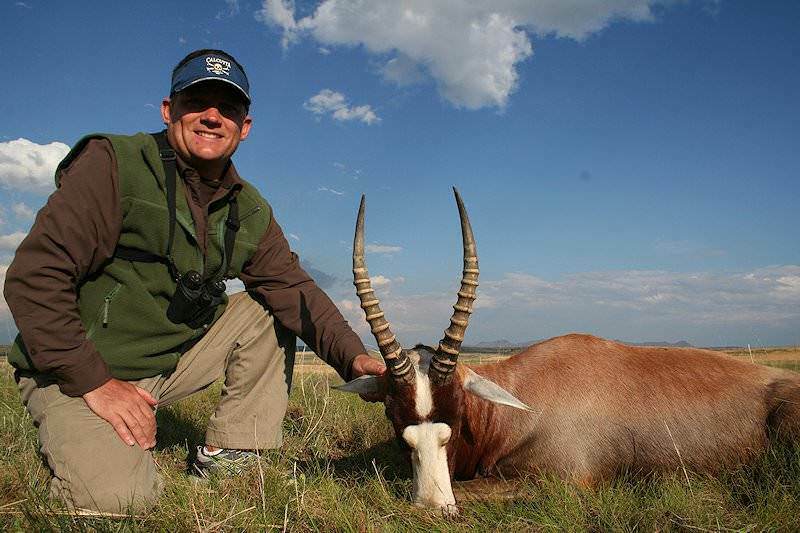 Hunt twelve highly sought-after plains game species - including popular pursuits like blesbok, kudu and impala - over three truly epic weeks. 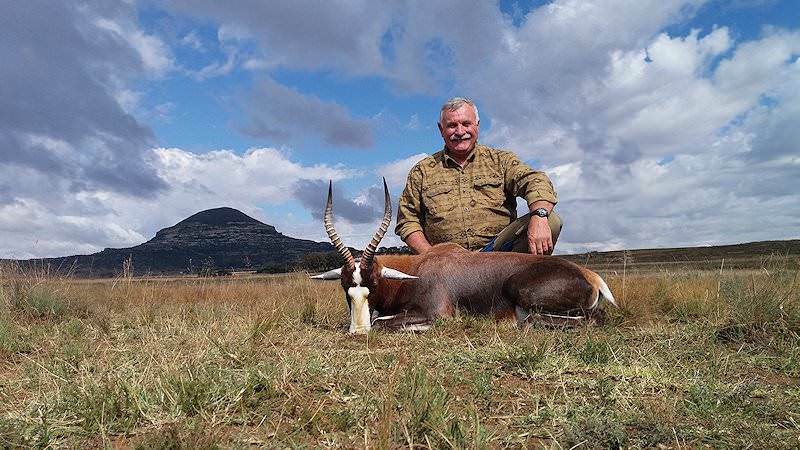 The hunting areas included are as diverse as they are rewarding, from the open plains of the Free State to the thickets of the bushveld.